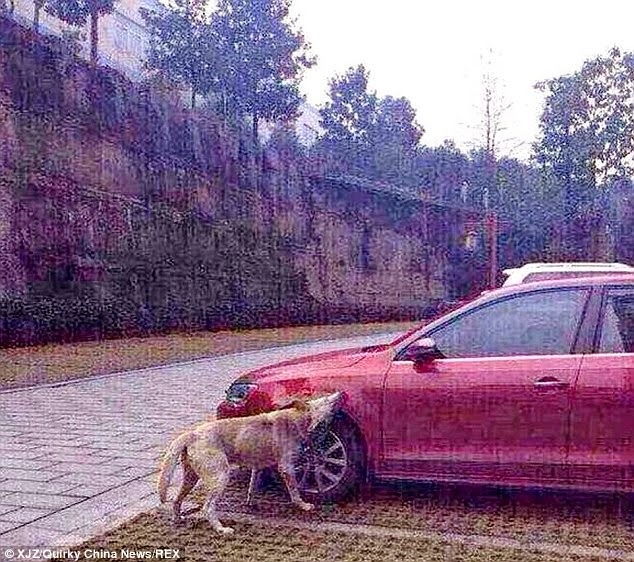 A driver in China apparently paid the price for kicking a dog, after a pack of canine attacked his car. 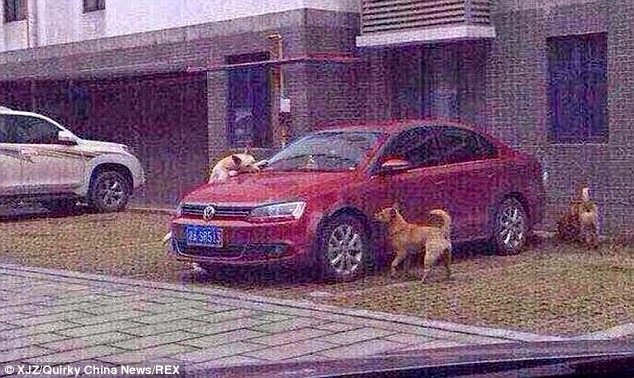 The man said he drove into a car park in the city of Chongqing, south west China, to find a dog was occupying his usual spot one evening. He then decided to kick the sandy-coloured stray dog out of the way. 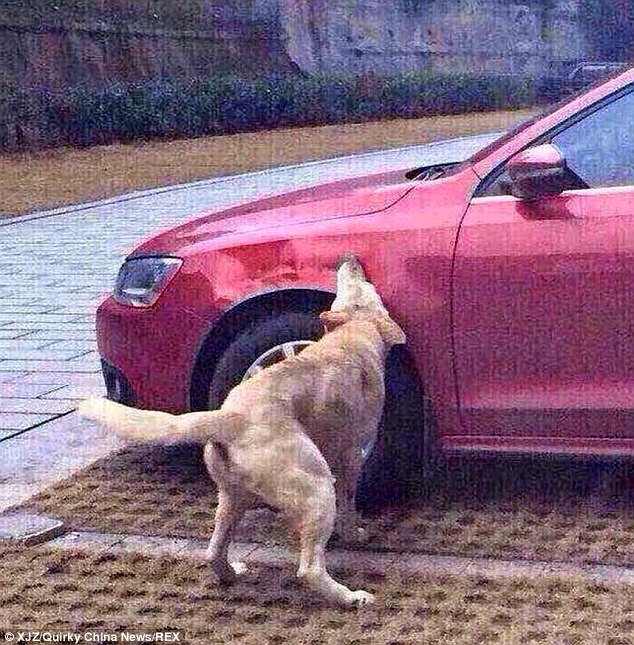 When the man returned to his car the next morning, he discovered that it had been damaged by a slew of what appeared to be bite marks.The driver only discovered what had happened to his car after he told his neighbour about the curious incident, and discovered that his neighbour had in fact captured the doggy ambush on camera. 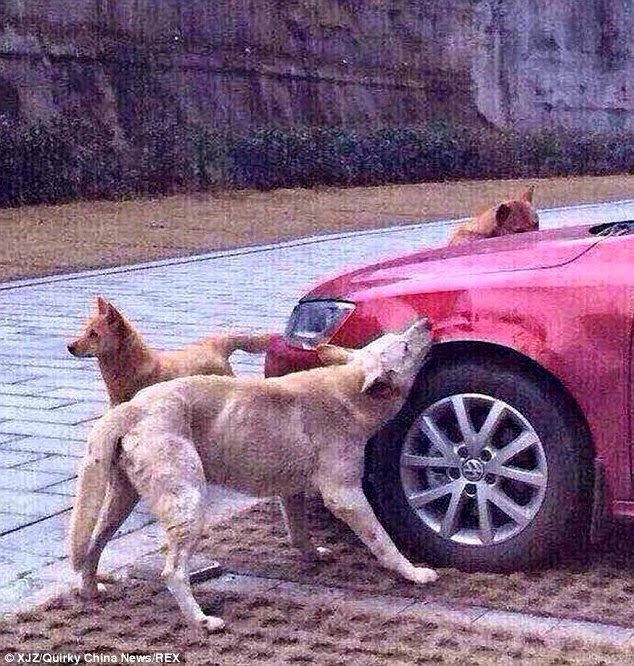 Images from the incident show a pack of stray dogs seemingly seeking revenge for the kicking. In one photo, a dog has clambered onto the bonnet of the car and appears to be biting the windscreen wipers. Another shows a dog getting its jaws around the car’s metal body, leaving huge dents in its wake. Responses to "Dogs 'take revenge' on man who kicked canine by attacking his car "
Mary L. & Carole H.You have taken the word & thoughts right out of my mouth! :-) :-) ! It's just xto bad that they couldn't puncher the tires & that the gas cap wasn't off & lower so that one or two of them could relieve themselves! (I'm fairly sure that you know what I mean! Lol! I worry for the dogs--no creature is as vindictive as a nasty man and I bet the law protects him and not the dogs. In order to appease the great dog spirit, he must now take care of all the dogs and show respect. I just love karma. Those dogs are all named "Karma". Awesome. Hope they don't try to take revenge on the dogs. Hope they left some excrement all over his car also. That's what he gets for being an abusive a_hole!